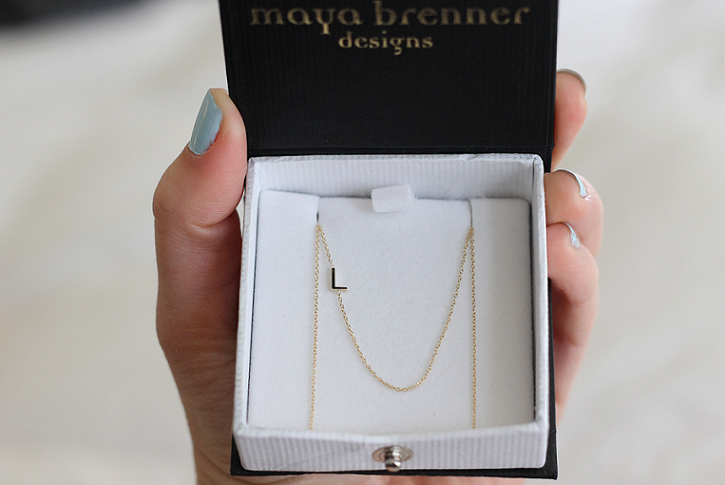 My current obsession is the Maya Brenner asymmetrical mini letter necklace... I don't know what it is, perhaps just L.O.V. E. at first sight. I've had a few initial necklaces in my day, ones with my own initials and one custom made as a push gift with diamonds with the initials of my first born, LLG which I wear almost every day. What I love about the design of these necklaces is that they're so demure, so unassuming, so dainty and sweet, and whether you're in the market for a personal logo, or one for your newborn babe, or even (what I'm really loving), the first initial of all of your kiddos, it's the perfect size to pair with almost any other neck candy under the stars. 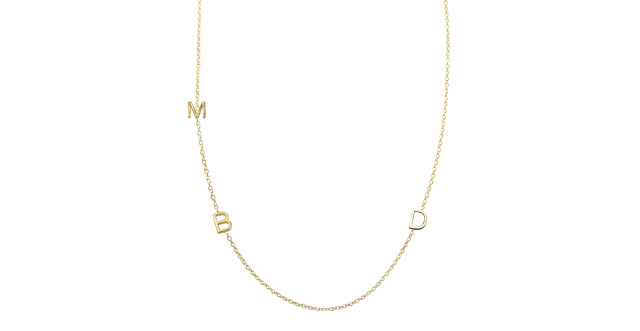 They come in white, yellow and rose gold and you can add any amount of letters to the chain you want... I have so many versions I'd make of this necklace (LLG, MPG, JMG, MFFS, LOVE), it's hard to choose... maybe I'll resurrect the Mr. T look... only much more demure of course.